Solid, Rib Knit Short Skirt in Relaxed Style with Elastic Waist and Pleats. Everything is going to be great. It’s all going to work together in THIS cord skirt! 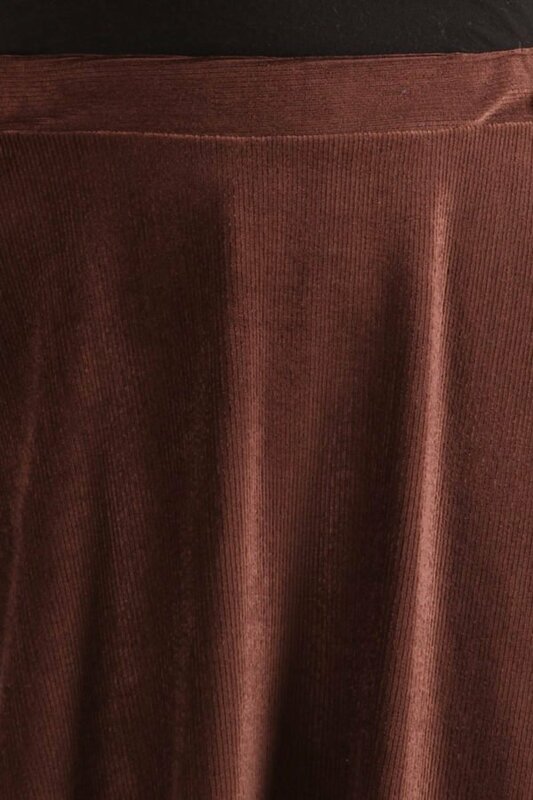 The Harmonious Corduroy Skirt fits above the knee and comes in a dark brown color. It’s just right for fall weather. 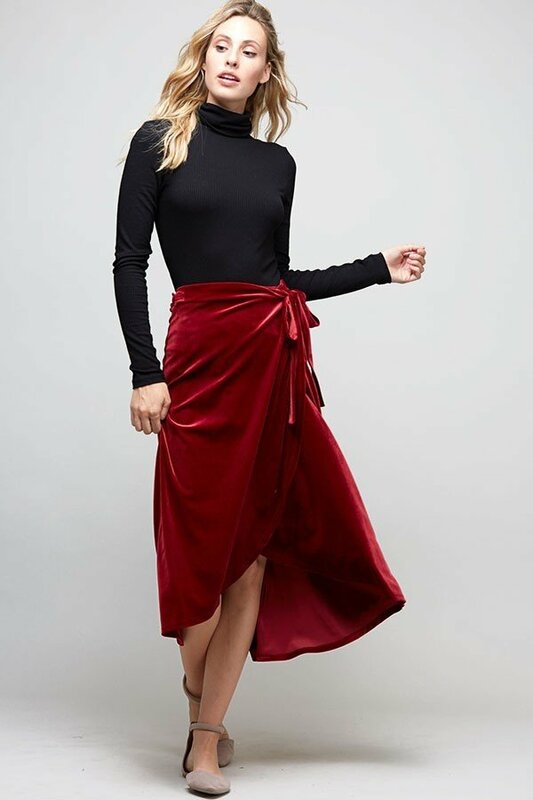 Pair this skirt with boots and a cute top with a scarf and you have a very Instagrammable outfit.